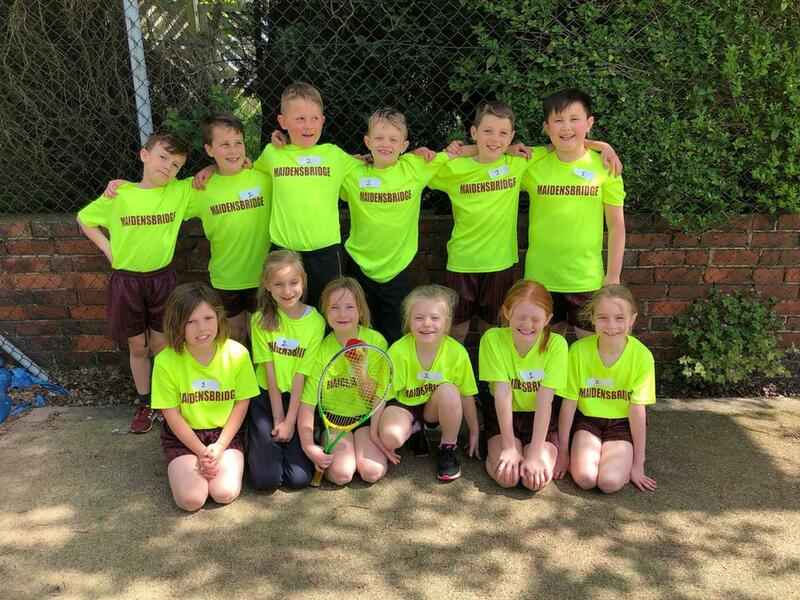 One of our tennis teams came second in the Year 3 & 4 Tennis Tournament today after narrowly losing to a very good team from The Glynne Primary School. Having the representation of three teams of children in the tournament, Maidensbridge was hoping to defend the title that it had won in the two previous years. However, some superb play in the final from The Glynne team meant that they ended as deserved winners. However, it was a very pleasing tournament in that eight of the twelve children representing the school were drawn from Year 3 and demonstrated that we will have a three very good teams in next year's tournament.